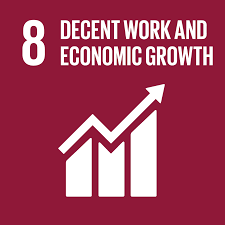 In accordance with SDG 8 Exchange is committed to stimulate decent work and economic growth. The development and reinforcement of the private sector creates economic growth, employment and trade as well as support for the public sector through tax revenues. That is why Exchange has made a conscious choice to support private enterprise in the South, as an instrument to help achieve the global goals.